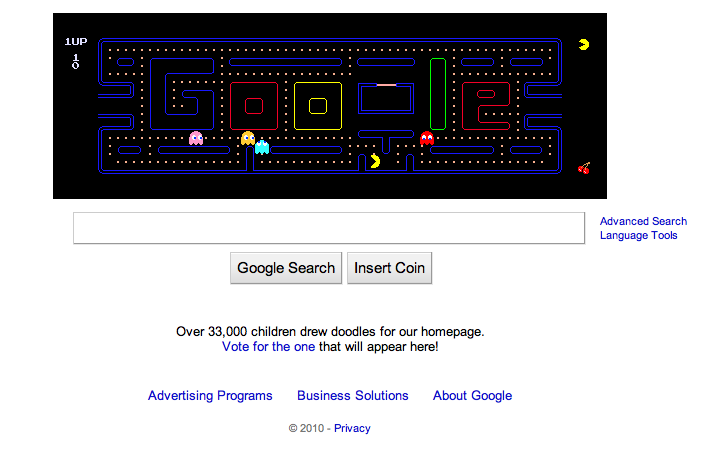 In honor of Pacman’s 30th anniversary, Google has made the iconic game a part of its home page and logo. Could Google’s cloud be the final frontier for gaming and yet another for @Google Advertising? This entry was posted on May 21, 2010 at 10:11 am and is filed under Google Cloud, Google Pacman. You can follow any responses to this entry through the RSS 2.0 feed. You can leave a response, or trackback from your own site.